This obviously doesn't work if you have deleted the files from the Recycle Bin as well or used Shift+Delete to permanently delete the files. However, there are still ways files deleted from Recycle Bin or using Shift+Delete can be recovered which we will be talking about below. Some people are cautious about their data and make periodic backups for the same. This can be in form of Microsoft backup that the OS offers natively or through some third party backup software. 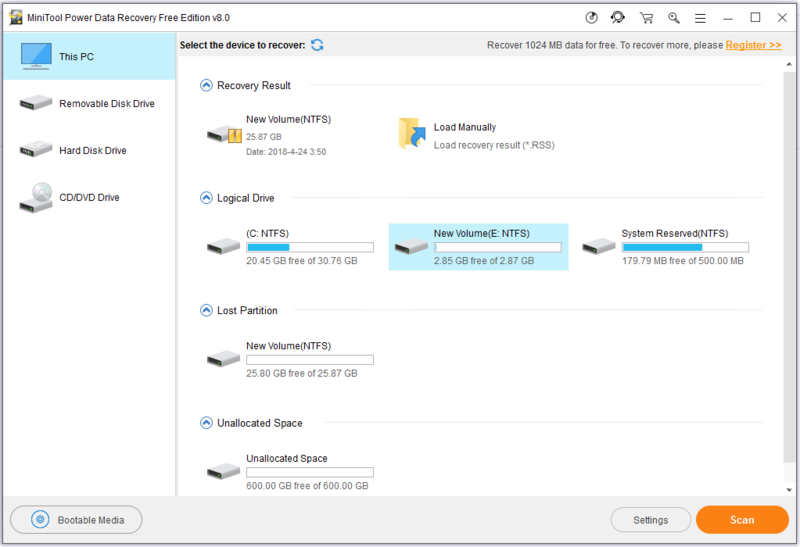 To restore files from Windows backup click on Start button, click on Control Panel, click on System and Maintenance and then click on Backup and Restore. Click on Restore my files and follow the steps in the Wizard. If you are using some other software, launch the same software and it should have the option to restore files from the backup you last did. However, if you are from the majority you wouldn't have done any backup and are at a complete loss right now what to do. Fret not, we still have the final solution for you too. If the data was on your computer hard disk or on any storage media that you can still read from your computer then you can use one of the free data recovery software to recover deleted photos. These software read the whole hard disk to find files which you have deleted permanently but are still present on the disk without being visible in the file structure of the operating system. Files which are deleted by the operating system are not actually removed the hard disk storage. There are only removed from the file system directory so that they don't appear to you or be counted as unusable memory. This memory space containing your photos and other data is overwritten in some time when your operating system has run out of previously free memory locations. So, until you store sufficient data after deletion of your previous files, the storage media will still contain the previous data which can be recovered by data recovery software. If you are not able to recover the photos by above-mentioned methods or you have lost your photos due to a corrupted media drive then you can use services of data recovery professionals and companies. These services obviously come at some cost and you need to decide if your photos were worth the money you will spend paying the data recovery professionals. That's all the ways possible that you can recover your photos or for that matter any other lost file on your storage media. We all know how our photos are very important to us, sometimes we have memories stored in these photos which are too precious to lose in any case and sometimes these contain information that can cause other types of loss to you. I hope one of the ways mentioned above works for you to recover your lost photos. For any doubts/questions please feel free to reply in the comments section below.